Dr. Deborah Bergeron, the Director of the Office of Head Start, announced the “Home at Head Start,” a national campaign on homelessness. The campaign challenges Head Start programs to enroll more children and families experiencing homelessness, with a goal of enrolling 10,000 homeless children by the end of March. Whether you work for a K-12 school district, an institution of higher education, an early childhood program, a homeless or housing provider, a youth services provider, or an advocacy organization, the Home at Head Start campaign is an important opportunity to make connections to a true two-generational support system that can help end a family’s homelessness and put children on a strong start for success in school and in life. Want to partner with your community’s Head Start and Early Head Start programs to support families experiencing homelessness? Here are three ways to get started. 1. Find your Local Head Start and Early Head Start Programs. The Head Start Center Locator makes it easy to find Head Start and Early Head Start programs near you. Head Start programs serve three and four-year-old children and their families, while Early Head Start programs serve infants and toddlers under the age of 3, and pregnant women. Head Start programs are typically center-based preschools; Early Head Start programs provide either infant-toddler care or regular family visits. Just enter your zip code, and the online directory will provide a map indicating program locations in your area and contact information for each program location. 2. Inquire if there are vacancies, and how you can assist programs in filling them. Head Start and Early Head Start programs are required to maintain full enrollment and maintain an active waiting list at all times that prioritizes families experiencing homelessness. Programs conduct ongoing outreach in their community to identify underserved populations, such as homeless families. Contact the Program Director, the Family Support Manager, or the Enrollment Specialist, and ask if the program has vacancies. If the answer is yes, let them know that you are working with children or parents of young children who are homeless. Children experiencing homelessness under the education subtitle of the McKinney-Vento Act are categorically eligible for Head Start. Let them know you are happy to assist with the application process. 3. If there are no vacancies, ask how children experiencing homelessness will be prioritized for enrollment, the anticipated length of the wait for enrollment, and how you can partner with the program. Head Start and Early Head Start programs must prioritize children experiencing homelessness for enrollment, which often means that children experiencing homelessness or foster care are placed at the top of the waiting list. Also, Head Start and Early Head Start programs can reserve up to three percent of their funded capacity for children experiencing homelessness or in foster care. If your local Head Start programs are full, assist families to apply and to indicate that they experiencing homelessness, so they may go to the top of the waitlist or fill one of these reserved spaces. If your local Head Start programs are not reserving spaces for children experiencing homelessness, offer to partner with them in the next program year to ensure that the appropriate number of slots are reserved and filled. Make sure to keep the name and contact information of the person accepting program referrals handy and updated, as well as referral materials. Consider working together on Memoranda of Understanding to include strategies on enrollment, referrals, and transportation. Why Head Start and Early Head Start? Head Start and Early Head Start are a perfect match for families experiencing homelessness — including families headed by youth or young adults. Head Start and Early Head Start offer a comprehensive two-generation service model, which means they include health, mental health, dental, disability, and quality education for children, as well as a range of supports for parents. Families experiencing homelessness are prioritized for enrollment and many programs have spaces set aside for them. Head Start Family Service staff can work closely with McKinney-Vento liaisons and homeless services and housing partners to promote collaboration and stability. According to a national study, preschool-aged children experiencing homelessness enrolled in Head Start or other early education or center-based care have stronger math and reading readiness than children who were only in parental care. Head Start programs that are administered by local educational agencies (LEAs) are considered preschools under the McKinney-Vento Act, and are subject to the requirements of the Act. 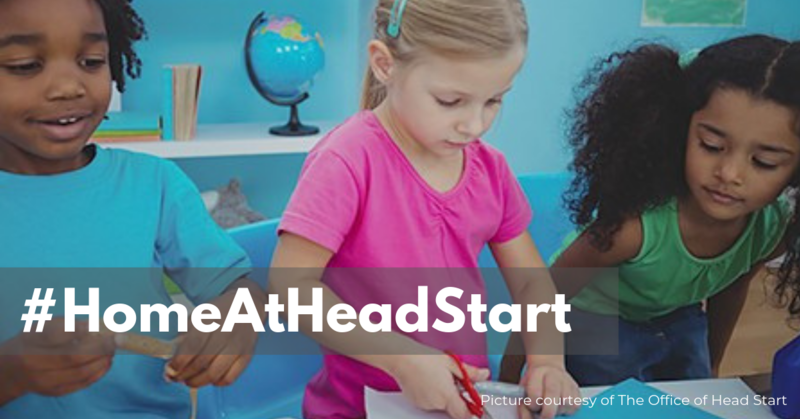 Follow the Office of Head Start using @HeadStartgov on Twitter and Facebook. Share your accomplishments in getting staff trained and children enrolled with #HomeAtHeadStart. Send pictures of your team holding your training completion of the certificates for the eight-module training on the ECLKC related to homelessness to OHSdirector@ACF.hhs.gov. Is My Early Childhood Program a McKinney-Vento “Preschool”?